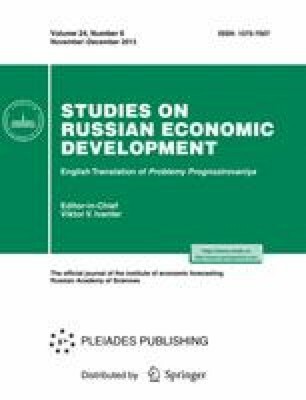 The article considers main trends in the competitive positions of Russia on foreign markets by product groups on the basis of UN foreign trade statistics across the period 2002–2011. A summary rating of the export competitiveness of Russian manufacturers is developed and calculated by product groups, based on several indicators: export growth, changes in the unit value of exported products, as well as the trade imbalance coefficient. Changes in trends in the postcrisis period are emphasized. Original Russian Text © A.A. Gnidchenko, V.A. Salnikov, 2013.